BETHEL -- Nicole Hockley takes comfort in believing her 6-year-old son is still being cared for by Anne Marie Murphy, the special education teacher who was fatally shot trying to protect the boy during last week's massacre at Sandy Hook Elementary School. "Knowing that has eased our pain," she said Friday afternoon at a memorial service for Dylan Hockley inside the packed Walnut Hill Community Church. "Dylan is not alone." England-born Dylan, friends and family said, was an autistic boy with bright blue eyes who flapped his arms when he became excited, a tendency common in children with the developmental disorder. Dylan once told his mother he did it because he was a "beautiful butterfly." 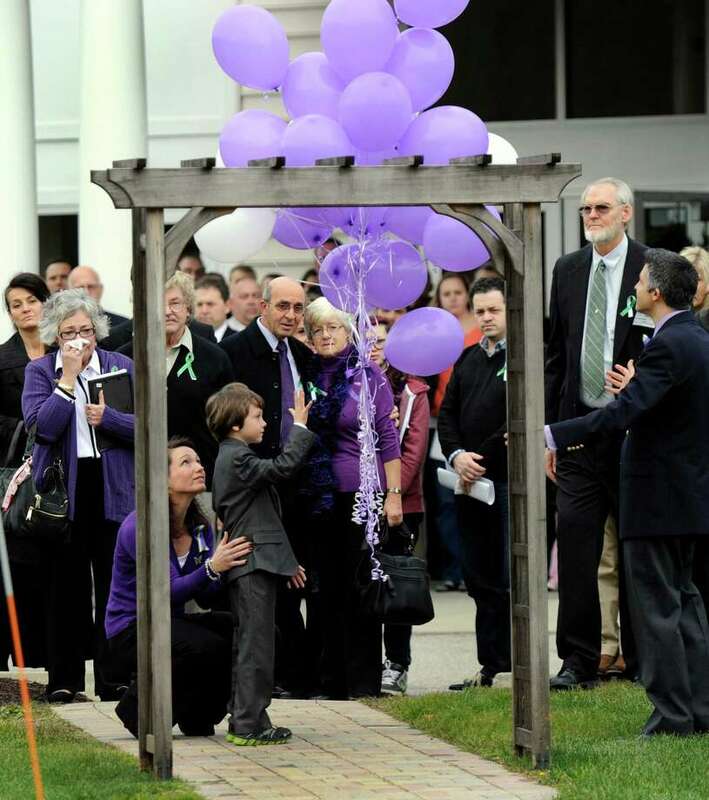 After his slaying, Dylan's mother and father isolated themselves from the flurry of media coverage but emerged from their "cocoon" to realize there had been an outpouring of support from people around the world, "proof of the inherently benevolent, good nature of people," Nicole Hockley said. "We (started) to understand and appreciate how what happened last week is starting to change the world," she said. "I don't know what that change will be. But I think it is very fitting that this new change, this new beginning, is from a peaceful, quiet place aptly named Newtown." She recalled how Dylan's big brother, Jake, asked his family over breakfast on Thursday why the world was fixated on the deaths of Dylan and 19 classmates. "I have not lost my faith in humanity."